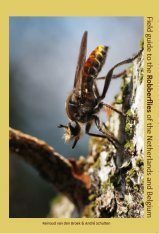 A completely revised guide to the identification, ecology and distribution of the larval Chironomidae of the Holarctic Region (N. America and Europe through Japan and the Far East). 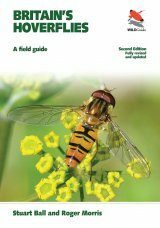 The work aims to guide those who are not necessarily experts in the group to make accurate generic identiﬁcations, and lead to the substantial literature on each. 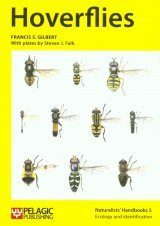 Previous diagnoses and figures for all taxa are fully revised and keys improved. Newly described and recently associated larvae in described genera are incorporated. 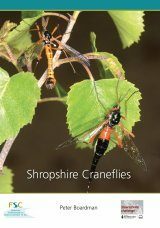 Relevant taxa and records from outside the region are included. 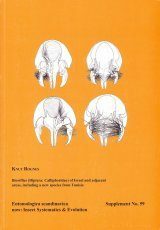 A consistent terminology is applied across all subfamilies, with modiﬁcations proposed especially for the dorsal head sclerites and mandibular structures. For the Tanypodinae the sites of cephalic setae and pores are incorporated and illustrated across the subfamily consistently for the ﬁrst time. 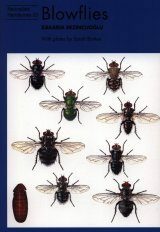 After the introduction and section on morphology and subfamily key, subfamilies are treated in the following order: Buchonomyiinae, Podonominae, Tanypodinae, Telmatogetoninae, Diamesinae, Prodiamesinae, Orthocladiinae and Chironominae. A section on preservation of material for molecular study is included, with details of slide preparation and vouchering specimens for future researchers. 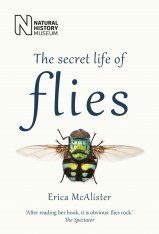 - Buchonomyiinae by P. S. Cranston & P. Ashe: Buchonomyia Fittkau. 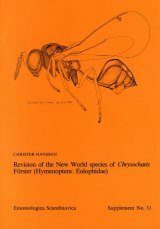 - Tanypodinae by P. S. Cranston & J. H. Epler: Amnihayesomyia Niitsuma; Bilyjomyia Niitsuma & Watson; Coffmania Hazra & Chaudhuri; Denopelopia Roback & Rutter; Lobomyia Niitsuma; Macropelopia (incl. Bethbilbeckia Fittkau & Murray); Monopelopia (incl. 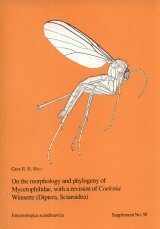 Cantopelopia Roback); Radotanypus Fittkau & Murray; Saetheromyia Niitsuma; Thienemannimyia (incl. Hayesomyia Murray & Fittkau); ZavreIiella (incl. Reomyia Roback); Zavrelimyia (incl. 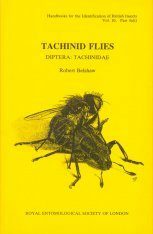 Schineriella Murray & Fittkau). - Diamesinae by †O.A. Sæther & T. Andersen: Lappodiamesa Serra-Tosio; Sasayusurika Makarchenko. - Prodiamesinae by †O.A. Sæther & T. Andersen: Compteromesa Sæther. 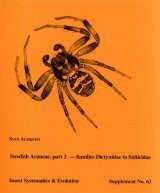 - Orthocladiinae by T. Andersen, †O.A. Sæther, P. S. Cranston & J.H. 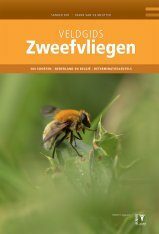 Epler: Aagaardia Sæther; Allocladius Kieffer; Chasmatonotus Loew; Compterosmittia Sæther; Eretmoptera Kellogg; Hydrosmittia Ferrington & Sæther; Neobrillia Kawai; Onconeura Andersen & Sæther; Phytotelmatocladius Epler; Platysmittia Sæther; Semiocladius Sublette & Wirth; Stictocladius Edwards; Tempisquitoneura Epler; Trichochilus Sæther; Unniella Sæther; Vivacricotopus Schnell & Sæther. - Chironominae by J.H. 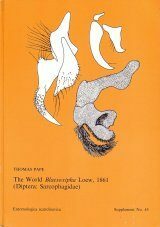 Epler, T. Ekrem & P.S. 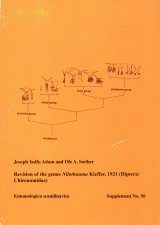 Cranston: Apedilum Townes; Beardius Reiss & Sublette; Caladomyia Säwedal; Endotribelos Grodhaus; Fissimentum Cranston & Nolte; Graceus Goetghebuer; Hanochironomus Ree; Kloosia Kruseman; Manoa Fittkau; Neostempellina Reiss; Olecryptotendipes Zorina; Synendotendipes Grodhaus; Xestochironomus Sublette & Wirth. 1. 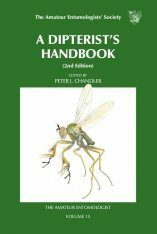 Andersen, T., Ekrem, T. & Cranston, P. S.: The larvae of the Holarctic Chironomidae (Diptera: Chironomidae) — Introduction. 2. 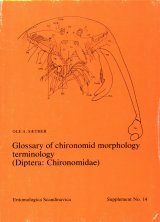 Cranston, P. S.: The larvae of the Holarctic Chironomidae (Diptera: Chironomidae) — Morphological terminology and key to subfamilies. 3. Cranston, P. S. & Ashe, P.: The larvae of Buchonomyiinae (Diptera: Chironomidae) of the Holarctic region — Keys and diagnoses. 4. †Sæther, O. A. & Andersen, T.: The larvae of Podonominae (Diptera: Chironomidae) of the Holarctic region — Keys and diagnoses. 5. 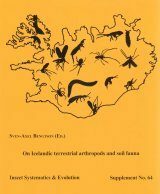 Cranston, P. S. & Epler, J.: The larvae of Tanypodinae (Diptera: Chironomidae) of the Holarctic region — Keys and diagnoses. 6. 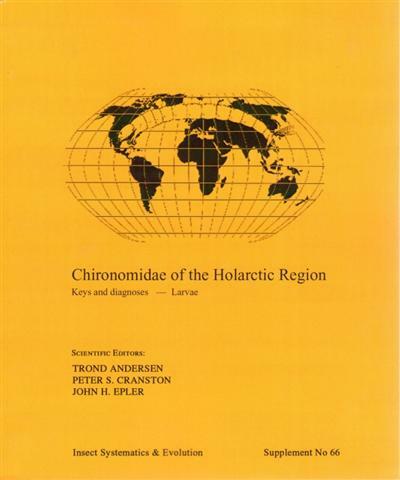 Cranston, P. S. & Ashe, P.: The larvae of Telmatogetoninae (Diptera: Chironomidae) of the Holarctic region — Keys and diagnoses. 7.†Sæther, O. A. 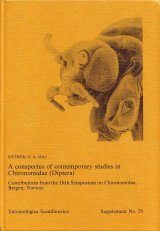 & Andersen, T: The larvae of Diamesinae (Diptera: Chironomidae) of the Holarctic region — Keys and diagnoses. 8. †Sæther, O. A. 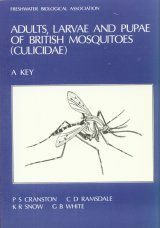 & Andersen, T: The larvae of Prodiamesinae (Diptera: Chironomidae) of the Holarctic region — Keys and diagnoses. 9. 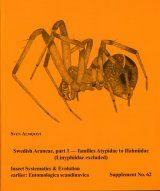 Andersen, T. & †Sæther, O. 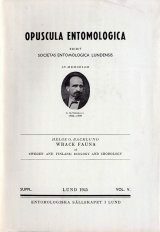 A.: The larvae of Orthocladiinae (Diptera: Chironomidae) of the Holarctic region — Keys and diagnoses. 10. Epler, J., Ekrem, T. & Cranston, P. S.: The larvae of Chironominae (Diptera: Chironomidae) of the Holarctic region — Keys and diagnoses. 11. 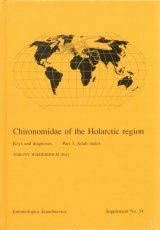 Index of Holarctic chironomid taxa.